The Small, Medium, Large concept to clothing that all department stores embody seems like a straightforward, pragmatic approach to sizing. 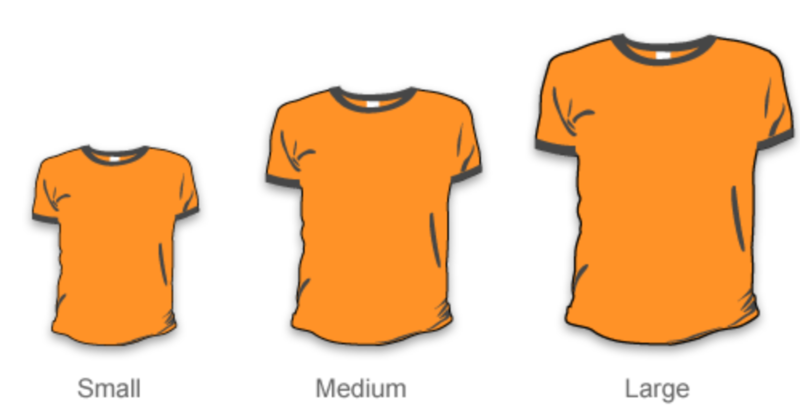 If the article of clothing fits, you’re golden; If not, you’re either going up a size, or down. But what about those that fall between the cracks? Or above, or below those labels? Perhaps you can relate… maybe your frame deserves a “marge”, right in between medium and large. DUALISTIC THINKING IS OUT-OF-DATE & NO LONGER IN STOCK! Am I really posting up an article about clothing? As much as I dig fashion, the department store approach is actually a metaphor for the movement industry in many respects, and its modus operandi to complex pain problems. A dualistic, department store approach emphasizes that although all individual’s move differently and come from different backgrounds and cultures, there are essentially only 3-types of people – small, medium and large. Chronic pain on the other hand is complex, embodying dynamic dimensions that encompass myriad variables expanding beyond the optics of biomechanical and connective tissue principles alone. 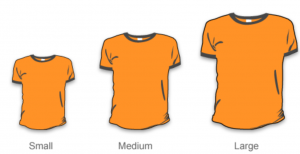 A diverse approach to sizing is needed. are all in play when considering the Neuromatrix and its influence on how we collaborate with, and coach our clients’ in pain. Why doesn’t their clothing fit? Have they ever been to a tailor before? If so, what was their experience? How will we know when a successful amendment has taken effect? What is their specific outcome? A tailor considers multiple dimensions into his/her analysis and thought process, outside the shackles of unidimensional constraints. Instead, diversification is personified, driven by the uniqueness of each individual and their articles of clothing. Individuals’ in pain each have their own unique articles of clothing (yes, we’re still talking metaphorically here) that need specific attention and consideration. 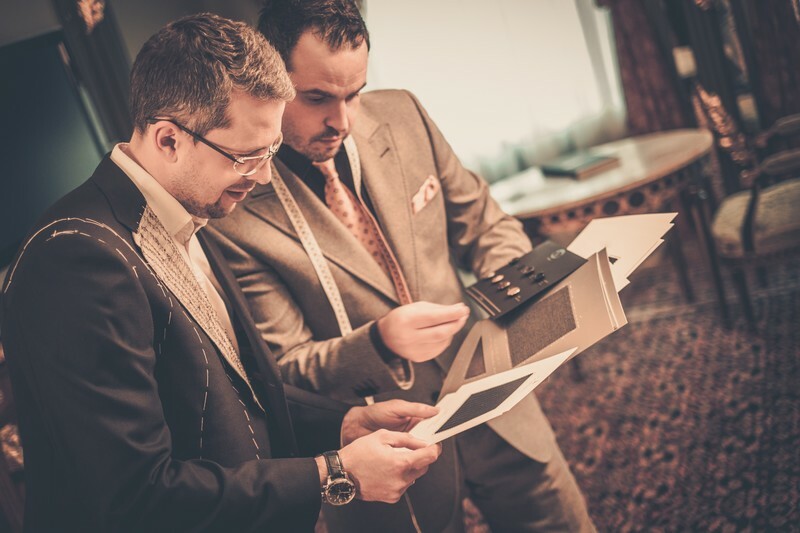 If you can meet your clients’ unique needs, much like a tailor does, than you’ll have accomplished something truly special in your clients’ eyes. Amidst the waves of uncertainty that accompany working with individuals’ experiencing chronic pain and relinquishing a dualistic/department store thought-process, above all remember you’re interacting with another individual – and not a mechanistic instrument. Be kind, be empathetic, and as often as possible seek to understand rather than judge. Although there is no silver bullet to guarantee program design success, most would agree that selecting purposeful exercise with clear objectives is a key ingredient to successful programming. To optimize “reception” from the nervous system, we must reduce the threat as we work toward our biomechanical objectives. 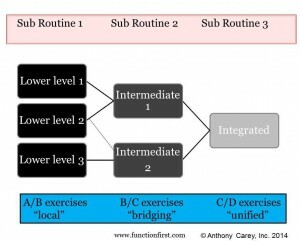 More than 5 years ago I wrote a blog post on Exercise Sequencing vs . Exercise Progressions. Sequencing of exercises is a critical part of how we design our corrective exercise programs and instrumental in what we teach in the Pain Free Movement Specialist. 1. Programs built around giving symptomatic relief which is clearly outside of our scope of practice. For example, the client whose knee is painful is given all “corrective” exercises focused on the knee. The inherent risk in this for fitness pros is that you have indirectly (and possibly unintentionally) made a medical decision because your intervention is based on pathology you have determined existed. Unless you are working in a post rehab capacity (different paradigm) with directives from a licensed professional you are treading on thin ice. 2. Programs that follow a linear progression=”if this than that” or “first this than that” do not address nor acknowledge the diversity of the human body or human experience. Examples might be mobility always before stability or activate than integrate. If working with the human body was that easy, programming from either of those rabbit holes would work every time. I wish it were that easy. We understand that programming, especially for the chronic pain client is difficult. Biomechanics is a piece of the pie and strategic movement is critical to success. And as movement professionals, that is our tool of the trade. But there is so much to the choice of the tools and the delivery of those tools that make or break a successful program for the chronic pain client. Movement is more than motion for the pain sufferer. It should be strategic, efficient, non-provocative & confidence building. The follow up programming is no different. We change our client’s exercise program every two weeks. The major objectives do not change, but the variability of the input via the exercises is a critical piece of the process toward meeting those objectives. The role of variability in the corrective exercise domain cannot be underestimated. When exercises are of limited biomechanical, neurological and physiological demand for the purpose of influencing the quality of motion, variable learning opportunities are necessary. Waiting for completele mastery of any exercise may actually slow the process toward the long term goal. The real goal is not to get better at exercise “x” or “y” or to strengthen this or lengthen that. No. The real goal is to assist the client to move better and be prepared for as much physical demand to the body that they may encounter. There is a process to this and understanding the pain experience for the client is a necessity. Marrying the role of biomechanics with the neuroscience and psychology of pain are pillars of the Pain Free Movement Specialist curriculum. We can teach you this if you have the desire to help those that have not gotten help before. Would you like to take the journey with us and become a resource to people from around the world-not just your neighborhood? This journey is not for everyone and we understand this. Because this is not just a curriculum that teaches you how to write an exercise program, it is a curriculum that moves you through stages of in-depth understanding of how to best serve this incredibly diverse yet underserved population. Everyone should be given the chance to realize a life void of pain and you can help facilitate that for them. Contact us to see if you are right for this curriculum. Email education@functionfirst.com or kmurray@functionfirst.com or call 619.285.9218. My corrective exercise abilities as a trainer are profoundly different after learning the Function First approach to Corrective Exercise. The Pain Free Movement Specialist Certification Program takes you on in-depth journey into the field of Corrective Exercise and Pain Science utilizing sound biomechanics, principles and strategies to address your clients needs. The real-world tangible benefits from this program were evident immediately as I not only became confident but also proficient and successful at working with my clients suffering from various forms of pain. What I particularly enjoyed about this program was the immediate benefit I experienced as a result of the curriculum. Not only was I able and had the confidence to work with and assess my clients, I was also armed with effective and proven exercise strategies and protocols. I have seen the benefit of these skills and my clients have too! I highly recommend the Pain Free Movement Specialist Certification for anyone looking to set themselves apart from the rest, who has a desire to learn proven and successful strategies and who wants to master the intricate in’s and out’s of both Corrective Exercise and Pain Science! Below we will take comments and questions on the webinar. What’s more important-the assessment or the intervention? What’s more important: Your assessment or you intervention? Seems like a pretty simple question. And I would not be surprised if many of you are immediately thinking of one the standard responses-responses that I preach myself. 2. Your intervention is only as good as your assessment. It is response #2 that has gotten me thinking of late. Through my years of learning, I have observed some amazing therapists, orthopedist, medical doctors, chiropractors, Ph.D.’s soft tissue specialists and fitness professionals perform some of the most extensive, problem- solving neuromusculoskeletal assessments you could imagine. I’ve watch them spend from an hour to several hours seeking out hidden clues, uncovering critical information and sleuthing way beyond the standard protocols. In statement #2, if your intervention is only as good as your assessment you would think it stands to reason that if your assessment is incredibly thorough and accurate, then so should your intervention? In my observations, that this is not always the case. In my humble opinion, if the identifying of critical “big rocks” is so challenging I find it hard to believe that generic protocols for that region of the body would suffice as an intervention. It would stand to reason, the more challenging the big rock is to find, the more complicated the surrounding compensation patterns will be. In the way the training the core has been the panacea for everything from low back pain to giving sight to the blind, I have to scratch my head at the absence of specificity in program design to match that of the assessment. To me, specificity does not mean working with a body part or structure in isolation. It means organizing building blocks that guide the body down a path of successful motion through novel movements that fly below their existing thresholds. Forgive this next statement as it is blatant self-promotion: I believe that I am awesome at asking great questions. Getting the right answers not always so easy…..
By asking better questions we broaden our perspective and therefore the possibilities of the underlying problems. By doing so we are able to frame a better strategy for our problem solving. If you think about it, this applies to all of us regardless of what our level of experience or what we are trying to sleuth about our client or patient. For me, it is movement related issues. For you, it might be why they can’t lose those last 5 lbs. or why they can’t stay consistent with their sessions. At Function First we have always prided ourselves on the unique and strategic corrective exercise programs our clients are given. No two programs are ever exactly the same because no two clients are exactly the same. Therefore, I would suggest that if you are going to assess with the precision of a diamond cutter, don’t design your intervention around a jackhammer.